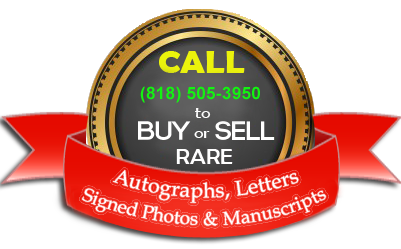 The Territory of California, ceded to the United States by the Treaty of Guadalupe Hidalgo in 1848, adopted a Constitution which was ratified on November 1849. 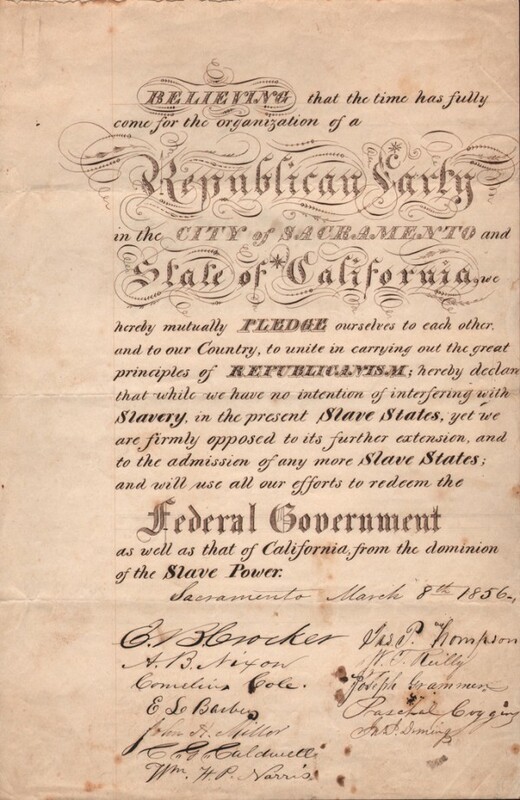 It outlawed slavery and, as a result, Federal recognition of California’s status was blocked for over a year by Southern congressmen. 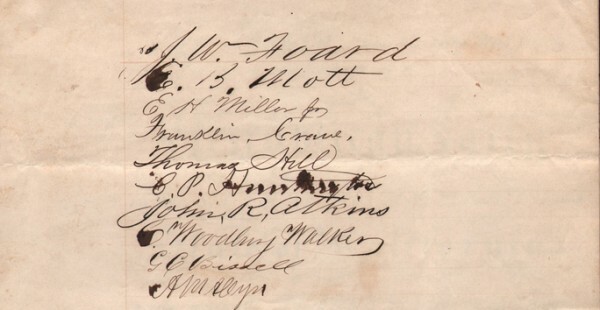 Finally, in September 1850, President Fillmore signed the Bill which made California a free state, as called for by the Compromise of 1850. 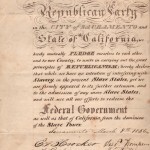 The paramount issue of slavery is reflected in the document, which formally established the California State Anti-Slavery party, called “The Republican Party”. 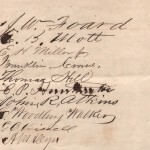 Signed by Collis P. Huntington, E.B. Crocker and other early California luminaries.